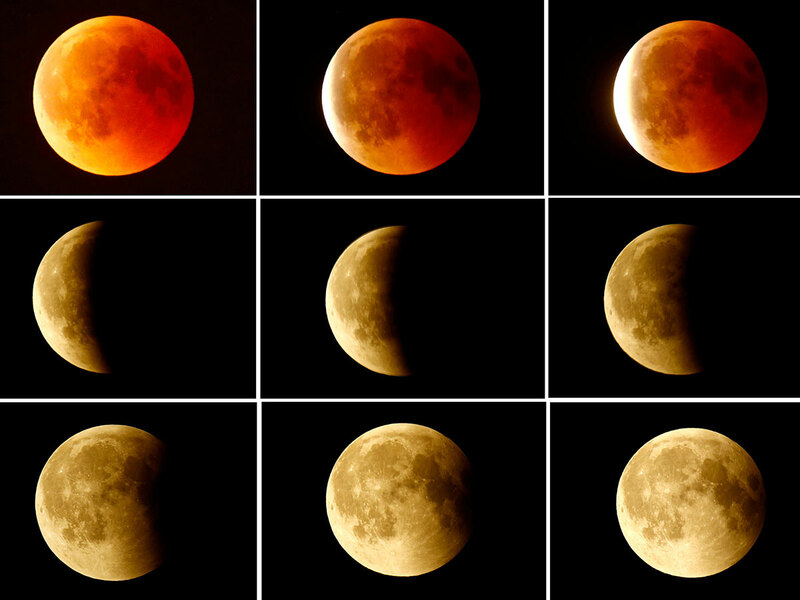 Cape Canaveral, Florida: Here comes a total lunar eclipse and supermoon, all wrapped into one. The whole eclipse starts on Sunday night or early Monday, depending on location, and will take about three hours. It begins with the partial phase around 10.34pm EST on Sunday. That’s when Earth’s shadow will begin to nip at the moon. Totality — when Earth’s shadow completely blankets the moon — will last 62 minutes, beginning at 11.41pm EST on Sunday. In the US, the eclipse will begin relatively early Sunday evening, making it easier for children to stay up and enjoy the show. Plus the next day is a federal holiday, with most schools closed. But the weather forecast for much of the US doesn’t look good. As for full-moon supermoons, this will be the first of three this year. The upcoming supermoon will be about 357,300 kilometres away. 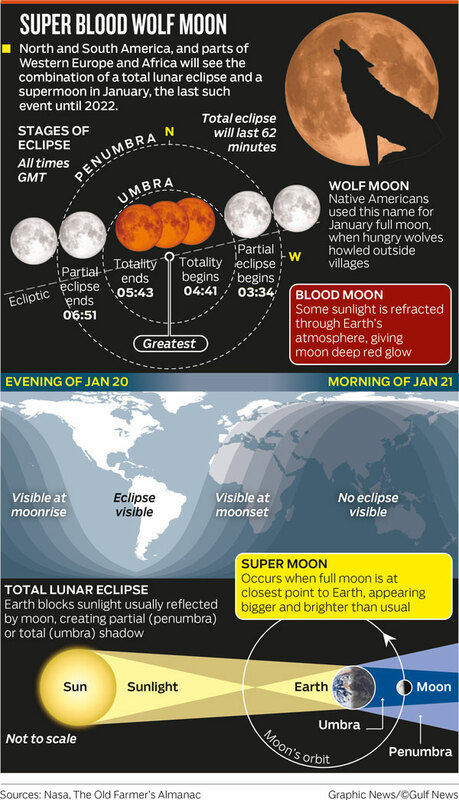 The February 19 supermoon will be a bit closer and one in March will be the farthest.